Art by Sila (go check her at http://www.furaffinity.net/view/24086901 ) gift from Mommy, thanks you very much ! Just a really lovely art, a nice little scene. 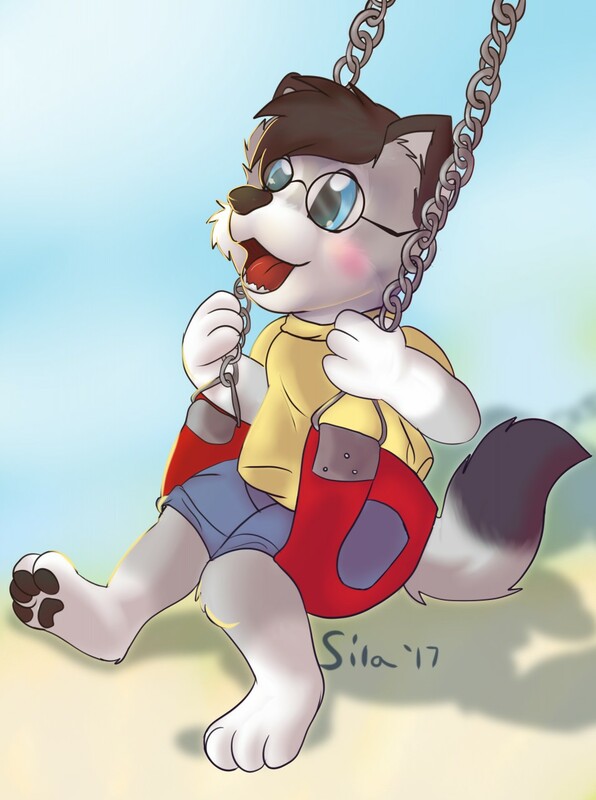 I honestly would like to do that irl, but the few swings I've seen able to handle an adult were in use when I saw them and as such I didn't tried. No need to create any drama by using those when you are a lone adult. But I hope one day I'll get a chance. I'm doing right now, it's quite good, the heatwave who made me sick all week broke this morning with storms pouring rain, I hope it stays that way for a while. As a sidenote, I have telegram and discord (sorta, I don't really see the messages there). If you want to chat with a shy baby wolf you can try hitting me there. But I'm no caretaker and I do not RP much, I warn you (and to repeat, I'm shy and not good at socializing). Otherwise, my parents should be away from august 1 to august 10. I should have some baby time then (even if I'm waiting on a job offer in a pharmacy). Nobody so far is available to drop by during that time, but even alone, it'll be some padded time. Very nice i really really really like the details!